Gabe Newell might be right. Newell, head of Valve, has infamously stated that Windows 8 is "a catastrophe" for games development. Plenty of others have echoed the concerns, if in less strong language, including Blizzard, Stardock, and Markus "Notch" Persson of Minecraft fame. Valve, as a result, is hedging their bets for the future by trying to expand into Linux, and bringing more gaming there. After my frustrating days with Windows 8, that looks like a good idea. It's not exactly that Windows 8 doesn't work. It's fast and, from my still-limited experience, stable. Programs, once open, run well. The major issues are twofold: first, Microsoft has inserted several extra steps into the process of performing basic functions like "launching a program" or "shutting down the system." Second, the parallel tracks of the "Metro" and Desktop environments give it what feels like a split personality. The overall result makes it challenging to navigate smoothly, and will likely frustrate many gamers. Interface clunkiness, while annoying, is something a user can learn to live with. I've been navigating Windows since version 3.11 and while this feels like the clumsiest, most awkward, and least smooth iteration yet, a person who has to can adapt to almost anything. By the end of the third day, I had internalized the odd sets of mouse gestures I needed in order to get around. That workarounds are relatively simple to use and memorize doesn't make it a good idea for Windows to have ditched the basic premise of windows—panels that can be moved around and looked at and manipulated—in favor of full-screen permanence, but even if it will never be loved, at least it can be grudgingly lived with. The split personality, though, is a different story. The UI formerly known as Metro is the famous tablet-friendly, full-screen, color-block landing page that Windows 8 opens up to. It's quite simple to customize, once you realize that right-click is your key to getting anything done. From there, users can indeed access the more traditional desktop view with the single click of a button, but there's a catch: that "desktop" is more like an app that runs inside the Metro view, rather than an option that can be set. A program that has been optimized for the Metro interface, like Microsoft's games store, will open in it, full-screen. A program, like Steam, designed for the Desktop environment will swap you over when you open it, even if you launch it from the Start panel. The end effect is to make the Windows 8 gaming experience the exact opposite of what Windows 7 tried to accomplish. The Games library of 7, while imperfect, isn't a half-bad umbrella for finding everything in one place. Microsoft's stalwart Solitaire and Minesweeper are there, but so too are the icons for other games I have installed on my hard drive, from Divine Divinity to Mass Effect 3 and The Secret World. The complete division between Metro and its nested desktop environment, in Windows 8, undoes that unification and breaks games up into multiple locations once more. But for a gamer, what really matters is this: for Metro gaming, think Xbox. For Windows gaming, think Desktop. The Xbox Live integration into Windows 8 is at once both its best and worst feature. If you have ever seen or used the Xbox 360 Dashboard, then you know what awaits you when you select "games" from the start screen. Playing games through Microsoft's Windows store is more or less exactly like playing them on an Xbox 360. Microsoft has wanted to unify the gaming experience across their platforms, and that much, at least, they've done. The concept of "offline" has essentially vanished from the newest version of Windows. Though you can create a Local computer profile when first setting up (which I did), Microsoft encourages you to use your Live profile instead. In other words, you log into your PC with your gamertag. The profile I created on that PC is, functionally, no different from an Xbox Live profile. I asked a friend to add me, and when she did the popup—complete with familiar Xbox sound—showed in the upper right-hand corner of my screen while I was busy using Firefox in desktop mode. That profile shows up and works just like any other on the Xbox Live website. The computer I was using has a native resolution of 1600x900. A screenshot that managed to capture the entirety of Solitaire runs about 5200x900. The only way we could get it to fit in this post was to crop it to 640x3700. And turn it sideways. That's a lot of horizontal scrolling just to see your Freecell stats. While the loss of basic Windows menus makes games clumsy, the social integration is a big plus in Windows 8's favor, and the Xbox Live matchup feels like an idea whose time has come. It's certainly a major step forward from the execrable Games for Windows Live of the past few years. However, in so doing, Microsoft has indeed created a walled garden for PC games, and it's part of a confusing two-tiered ecosystem. Going to "games" from the Start page takes you to the Games store. And that store, Microsoft's private playground, may well be the source of much future confusion. It feels like it's begging for cross-platform play, but in the end it serves only to muddy the waters. It's great that I can see that my friend has a beacon set for Mass Effect 3 multiplayer on her Xbox, but that does me absolutely no good if I am running the game on Windows through Origin. Rather than having a useful social connection, we're staring at each other through unbreakable glass. Perhaps we can handwave that one away, since ME3 was released in March 2012 and Windows 8 won't be live until October. But the transition looks to be years long and, at best, confusing as hell. As far as this version of the Windows Games Store will tell me, Left 4 Dead 2, Skyrim, and Mass Effect 3 are all games I can only play on the 360. My regular desktop, the Windows 7 one with all three of those games currently installed on it, would beg to differ. In fairness, the Windows games store is clearly in a pre-launch condition; the big-studio titles I currently play through Steam or Origin may yet appear before October. The list of "all apps," the way to launch programs that don't have Start or Desktop icons, highlights the messy way games get tossed around everywhere. I installed both Fable III and Portal 2 via Steam, but they don't show up in the same place. Portal 2 is considered a Steam app; Fable III, which uses Games for Windows Live and, therefore, the same gamertag as the rest, does not. Meanwhile other Microsoft apps, like Solitaire and Minesweeper, show up somewhere else entirely. After a few days wading through the disorganization that I felt Windows 8 forced on me, I can see why developers are concerned. Yes, existing programs like Steam and Origin run perfectly well in the Desktop environment. But the way they will have to publish and develop their games, going forward, may change dramatically. The "Games" feature built into the OS is, in every way that matters, a tablet-friendly version of XBox Live. In an ideal world, Microsoft's unified UI experience could theoretically entice more developers to make PC versions of their games when they make Xbox versions. (And in that same ideal world, they'd all be good versions, not bad ports.) But in the real world, the "walled garden" that Notch and Newell were afraid of places the same demands on a PC developer that it places on an Xbox one, and those are often a problem. The certification process for games to get on the Xbox Marketplace does not always run smoothly. Microsoft now stands to become more of a gatekeeper for getting software on their computers than they ever have been before. Nothing will be stopping Valve, EA, Ubisoft, or any other publisher huge or indie from distributing Windows games online or on disc exactly as they have been for years. But it's easy to imagine the process going awry. It's great that I can see that my friend has a beacon set for Mass Effect 3 multiplayer on her Xbox, but that does me absolutely no good if I am running the game on Windows through Origin. Rather than having a useful social connection, we're staring at each other through unbreakable glass. Let's say there were a Mass Effect 4 released in 2015. Would EA then use Origin, or Windows-Xbox to connect players to it? Will the two be forced to nest together, as Games for Windows Live has been nested inside of previous games I've gotten from Steam? And of course, Valve will continue to use Steam as the publication platform for their games. So will I log into my desktop in the distant future to find that, seen one way, my computer tells me that, sorry, Left 4 Dead 3 only exists for the Xbox 720, while, seen another way, it will tell me I have the game fully patched and ready to play? It all adds a layer of confusion that I don't think anyone particularly needs or wants. Misleading tiles and twisted ways of getting to the information the user seeks don't help anyone. Developers, publishers, and consumers alike all stand to lose out. Not all the news is bad for Microsoft. It's easy to see a world where a Windows 8 Service Pack corrects many of these mostly surface-level issues, or a world where, like 7 to Vista, Windows 9 comes along promptly and jettisons the bad while keeping the good. The stability and underlying architecture seem to be there. But adding dozens of steps and strange layers that keep players from their games isn't going to win them any fans. At the moment, Windows 8 is two competing operating systems that don't always play nicely together. Going to desktop in order to make programs run, and to be able to use more than one app or even more than one browser tab at a time, feels in many ways like having to boot to DOS and then launch Windows did, twenty years ago. Apps that are installed in Metro can be uninstalled with a single right-click in Metro, but don't show up in Control Panel's Programs and Features listing. Launching an app that goes to desktop mode prevents you from seeing easily if one (or two, or ten) apps are still running in the background over in Metro. After a few years out on the market, Windows 7 works pretty well for games and gamers. Windows 8 could very well calm down and get it right after a few years, too. But will the market let it? Gaming for Mac has picked up significantly again after a couple of all but dormant decades, and Valve has plans to bring Steam, and its wealth of content, to Linux as well. Windows has remained dominant on the reach of its brand perhaps more than on the value of its product. 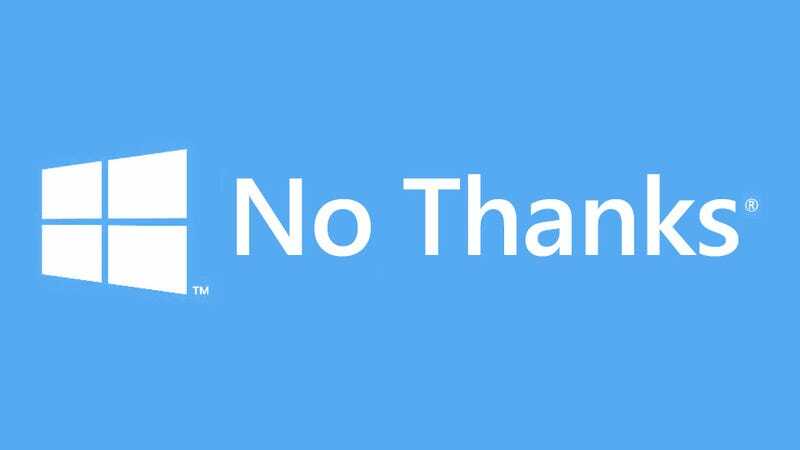 In Windows 8, Microsoft may indeed have created a very good product for challenging Apple on their tablet turf, but while doing it they've left the door open for others to come in and reclaim the desktop space. Windows 8 doesn't have to be a catastrophe. But as it stands, it easily could be unless Microsoft gets it together and makes the sum of its parts into a unified whole.